tokidoki is a lifestyle brand created by Italian artist Simone Legno and his business partners. This brand is Japanese influenced and I have to say, the designs are pretty kawaii (cute). In 2008, this brand collaborated with ToyTokyo, a toy store to come out with their very first be@rbrick - the Be@rbrick 100% Tokidoki ToyTokyo Soccer which is limited to 1,000 pieces. I became an owner of one of those pieces today. 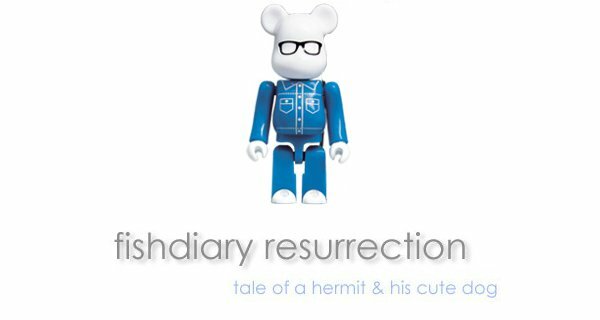 I got my very first tokidoki be@rbrick which happens to be my first 400% be@rbrick as well 2 weeks ago. So this new purchase will be my 2nd be@r from this talented artist. I don't think it will stop here. It's here! My Fatlace be@rbrick is finally here!